The Hoosier State was initially known as a settlement for historic native peoples as well as an area for runoff of sorts for people from nearby states of Kentucky and Ohio. Indiana today is most well-known for being home to its multiple professional sports outlets. A thoroughly devout farming and agriculture town, as it were, Indiana remains the pinnacle of the Midwest in terms of volume of land and overall output. Though Indiana has been noted for being a trucking-friendly state, Indiana has over 4,255 miles of railroad routes, making it one of the most extensive systems in the country. Many look to Indiana as the home of Notre Dame University as well. 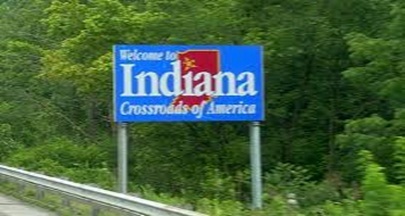 As the state whose official motto is “Crossroads of America”, Indiana is the country’s major intersection where an entire job market is based on its extensive network of highways, bridges and roads. Leading the nation in development of major road and bridge projects and being the long-term headquarters for grand-scale employers such as Honda, Toyota, Subaru-Indiana, Caterpillar and Cummins Engines, its no surprise that Indiana with its 14 interstates, is a Mecca for truck driver jobs as well. A new bridge is said to not only increase travel capacity to over 50,000 vehicles a day, but to significantly shorten the time to transport goods and make this a much more accessible hub for the transportation industry in general. The Indiana-Jeffersonville Port is less than a day’s drive from over two thirds of the major companies serving the U.S. market and the home headquarters for a number of major steel companies, a UPS international hub and the new distribution center for Amazon.com - huge companies whose entire business is based on shipping and transport. Trucking jobs in Indiana are certainly there for anyone seeking them and especially for those who are in search of long-term career opportunities as well. To qualify, every state requires truck drivers obtain a commercial class driver’s license and each category is based on the following federal standards. While the federal government requires you to pass both written and driving tests for each CDL category, there are no standards yet in place for commercial driving training. Many Indiana based motor carrier companies train their employees and the state offers a variety of training programs at private driving schools, vocational schools or community colleges. Whatever level of training or CDL category you have and however you want to approach your trucking career, Indiana is the hub for all types of trucker jobs and TruckDrivingJobs.com is here to help find the right one for you. Below are list of companies currently hiring within indiana. Call 765-645-5015Based out of Mays, P O C Industries owns 733 trucks and primarily transports Logs, Poles, Beams, Lumber. Call 812-934-0129Based out of Batesville, E H Logging Trucking Logging owns 679 trucks and primarily transports Logs, Poles, Beams, Lumber. Call 219-759-5119Based out of Valpraiso, Ideal Sign owns 877 trucks and primarily transports Construction equipment. Call 317-392-0676Based out of Shelbyville, Investment owns 477 trucks and primarily transports Building Materials. Call 219-382-5121Based out of Macy, J & B Wilson Farms owns 972 trucks and primarily transports Grain, Feed, Hay. Call 317-773-8850Based out of Noblesville, A 1 Demolition And Excavating owns 137 trucks and primarily transports Building Materials, Machinery, Oversized loads such as Farm Mining or Oilfield equipment. Call 812-667-3068Based out of Cross Plains, L A D Transport owns 533 trucks and primarily transports building materials Dirt. Call 765-533-6298Based out of Straughn, J & D Ventures owns 497 trucks and primarily transports SEPTIC Hazmat materials. Call 317-841-9837Based out of Fishers, D & K Service owns 196 trucks and primarily transports MOWERS AND MULCH. Call 260-693-9676Based out of Churubusco, G And K Golf Kars owns 471 trucks and primarily transports GOLF CARS. Call 800-348-1916Based out of Waterloo, L & L Transportation owns 372 trucks and primarily transports regular Flatbed & Reefer loads, Car hauling, Machinery, Oversized loads such as Farm Mining or Oilfield equipment, Petroleum Gas & Natural Gas, Farm Supplies, Toxic Materials. Call 812-926-6250Based out of Aurora, D & S Machine Products owns 184 trucks and transports all kinds of freight. Call 317-933-2503Based out of Trafalger, C & T Express owns 740 trucks and transports all kinds of freight. Call 812-783-2009Based out of Mount Vernon, U & S Farms owns 192 trucks and primarily transports Livestock, Grain, Feed, Hay. Call 812-275-5323Based out of Williams, G And H Trucking owns 773 trucks and primarily transports Grain, Feed, Hay. Call 317-710-2542Based out of Roachdale, S & S Towing & Recovery owns 181 trucks and primarily transports Reposession & Towing. Call 219-342-3515Based out of Bourbon, I & M Manufacturing owns 89,965 trucks and primarily transports. Call 317-788-3082Based out of Beech Grove, M & M Express Delivery owns 601 trucks and transports all kinds of freight. Call 765-942-2634Based out of Ladoga, J & D Tree Surgery owns 821 trucks and primarily transports Logs, Poles, Beams, Lumber, WOOD MULCH. Call 812-389-2766Based out of Birdseye, Yocum Trucking owns 263 trucks and primarily transports building materials Dirt flooring & asphalting supplies. Call 765-288-3326Based out of Muncie, D Company owns 754 trucks and primarily transports STONE/Dirt. Call 812-659-2703Based out of Switz City, S & C Cornelius Farms owns 996 trucks and primarily transports Grain, Feed, Hay. Call 812-989-3761Based out of Jefferson, A & A Builders owns 668 trucks and primarily transports Building Materials, Machinery, Oversized loads such as Farm Mining or Oilfield equipment, Construction equipment. Call 812-789-2369Based out of Winslow, Zelbert Miley owns 297 trucks and primarily transports regular Flatbed & Reefer loads, Logs, Poles, Beams, Lumber, Machinery, Oversized loads such as Farm Mining or Oilfield equipment, Grain, Feed, Hay, Farm Supplies. Call 812-897-8888Based out of Boonville, J & J Municipal Supply owns 133 trucks and transports all kinds of freight. Call 502-454-1594Based out of Georgetown, P And L Express owns 716 trucks and primarily transports regular Flatbed & Reefer loads, Fresh Produce, Refrigerated Food. Call 317-818-9522Based out of Carmel, C & K Drilling Co owns 497 trucks and primarily transports Water - Well. Call 812-724-2903Based out of Owensville, A & J Trucking owns 358 trucks and primarily transports Logs, Poles, Beams, Lumber, Grain, Feed, Hay, Coal, Coke, Dry Van, Farm Supplies, Construction equipment. Call 765-289-8264Based out of Selma, R & S Drilling owns 622 trucks and primarily transports Machinery, Oversized loads such as Farm Mining or Oilfield equipment, Oilfield Equipment, Water - Well, Toxic Materials. Call 765-651-9029Based out of Marion, X4 Plus Pallets owns 292 trucks and primarily transports Grain, Feed, Hay, wooden pallets. Call 260-740-1769Based out of Auburn, Vallie E Harrison owns 581 trucks and primarily transports STONE,EARTH MATERIALS. Call 219-486-0023Based out of Ft Wayne, H & R Concrete Construction owns 453 trucks and primarily transports Building Materials. Call 765-963-2361Based out of Sharpsville, J & M Farms owns 774 trucks and primarily transports Grain, Feed, Hay, Farm Supplies. Call 765-987-7729Based out of Spiceland, A & K Towing owns 507 trucks and primarily transports Car hauling, Reposession & Towing. Call 812-874-3646Based out of Poseyville, P C Polymers owns 471 trucks and transports all kinds of freight. Call 574-893-4924Based out of Akron, K & S Trucking owns 838 trucks and primarily transports Dry Van, Construction equipment. Call 812-529-8180Based out of Lamar, Zimmerman Excavating owns 761 trucks and primarily transports building materials & Dirt. Call 317-539-5992Based out of Coatsville, D & C Trucking owns 278 trucks and primarily transports regular Flatbed & Reefer loads, various metals such as Brass, Titanium, Copper, Iron, Car hauling, Logs, Poles, Beams, Lumber, Building Materials, Machinery, Oversized loads such as Farm Mining or Oilfield equipment, Grain, Feed, Hay, Garbage, Refuse, Trash, Dry Van, Paper Products. Call 765-249-2971Based out of Forest, M & J Farms owns 385 trucks and primarily transports Grain, Feed, Hay, Farm Supplies. Call 219-345-4953Based out of De Motte, S & D Trucking owns 258 trucks and primarily transports Construction equipment. Call 812-755-4697Based out of Campbellsburg, Zink Farms Trucking owns 521 trucks and primarily transports regular Flatbed & Reefer loads, Grain, Feed, Hay, Coal, Coke, Dry Van. Call 765-762-6067Based out of Williamsport, W Brian Jordan owns 172 trucks and primarily transports TreesS SHRUBS, ETC. Call 219-375-2229Based out of Warren, Yarger Farms owns 121 trucks and primarily transports Grain, Feed, Hay. Call 812-359-4981Based out of Richland, F Keith Goldman owns 173 trucks and primarily transports Machinery, Oversized loads such as Farm Mining or Oilfield equipment, Livestock, Grain, Feed, Hay. Call 574-223-5426Based out of Rochester, R & R Visual owns 150 trucks and primarily transports Construction equipment. Call 812-357-5181Based out of St Meinrad, Vaals Furniture & Appliances owns 668 trucks and primarily transports regular Flatbed & Reefer loads, Petroleum Gas & Natural Gas, Toxic Materials. Call 317-894-3317Based out of Mccordsville, F T A owns 542 trucks and primarily transports regular Flatbed & Reefer loads, Grain, Feed, Hay, Farm Supplies. Call 812-354-1700Based out of Velpen, F M Anderson Enterpirses owns 540 trucks and primarily transports regular Flatbed & Reefer loads, various metals such as Brass, Titanium, Copper, Iron, Car hauling, Building Materials, Machinery, Oversized loads such as Farm Mining or Oilfield equipment, Oilfield Equipment, Dry Van, Paper Products, Farm Supplies, Construction equipment. Call 765-629-2194Based out of Milroy, C & F Meer Farms owns 612 trucks and primarily transports Logs, Poles, Beams, Lumber, Livestock, Grain, Feed, Hay, Garbage, Refuse, Trash. Call 812-579-5483Based out of Columbus, K & G Farms owns 366 trucks and primarily transports Machinery, Oversized loads such as Farm Mining or Oilfield equipment, Grain, Feed, Hay, Dry Van, Farm Supplies.